Stila is one of those brands that I have always known since I ventured into beauty blogging but I've never really doled out the money to try out their products and formulate a solid opinion of them. In my eyes, Stila is somewhat overpriced as their packaging and product designs appeal to the young child in me while they charge high end price tags. So when Sephora had a limited edition (nope, you cannot get this anymore folks) for Black Friday and offered an eyeshadow and convertible color palette with a lip glaze, I pounced on the offer. 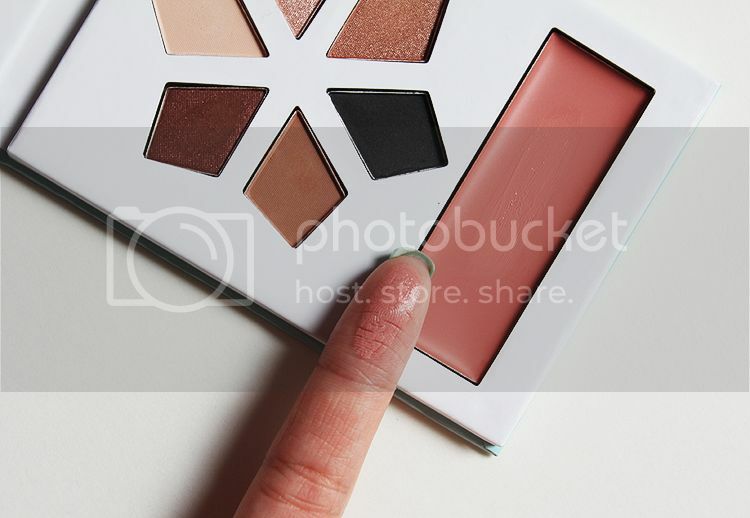 Stila does a variety of eyeshadow and cream blush palettes around the $10 mark which is great for makeup beginners and people who do their makeup on the go. 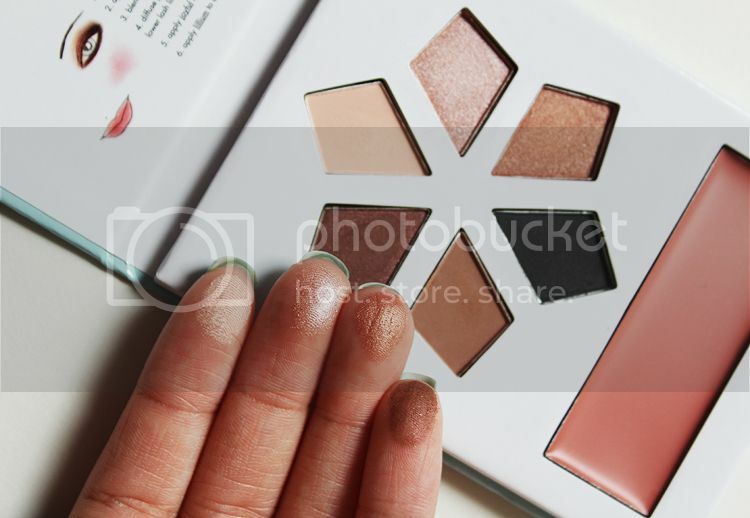 The snowflake layout of the eyeshadows is a nice touch and the colors are all very complementary. I really love how half the shades are the three basic matte shades that everyone needs: a cream, mid-tone brown and black. The three shimmery shades are a pink champagne, a orange bronze and a dark brown. The shadows are decently pigmented and last for twelve hours over an eyeshadow primer. These are not the most high quality, buttery eyeshadows I have ever owned (Urban Decay and Inglot win there) but they are above average. Call me crazy but these shades look almost exactly like some of the shades from the In The Light Palette, also by Stila. I had a samples placard from one of my Birchboxes and loved the entire palette so this version is perfect for me. Those of you who own the In The Light Palette, can you confirm these shades may be spot on dupes? The convertible color, Lilium, makes this palette worth every penny. Lilium is part of the permanent range of convertible color, a multi-tasking product meant for lips and cheeks. The color is a beautiful muted yellow pink and the formula is incredibly creamy and easy to blend. I applied this with a blush brush to the apples of my cheeks and it stayed put for a 12 hour day with only a bit of fading. I now want to own several more shades of this product and if you fancy yourself a cream blush, definitely check this one out! The palette itself was already worth $10 to me but I'm not going to say no to a free lip glaze. The shade Kitten is an amber base loaded with golden shimmers. 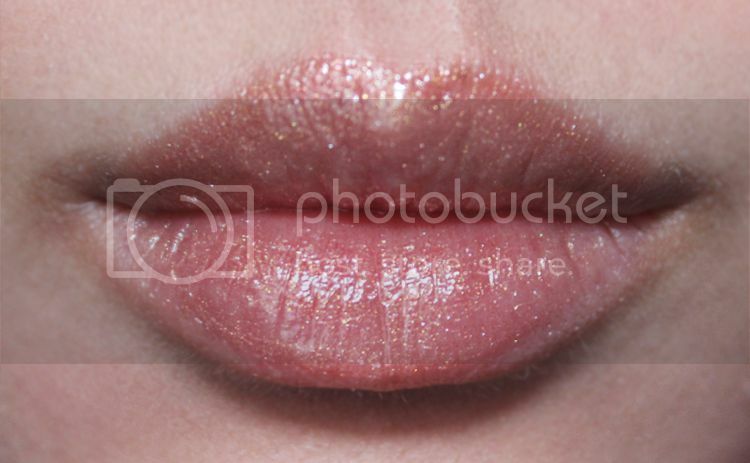 The shimmers are not too big but I can feel the flecks when I press my lips together. Application is a breeze with the brush tip pen although it can be difficult to determine how many twists you need the first time you use it. At first I did not think I would fancy Kitten on my lips at all because of the heavy dose of glitter but the sparkles look lovely in sunlight. My lips were very shiny, glossy and full without looking too garish due to the sheer base color. I imagine this lip glaze would be perfect for holiday parties to complement warm toned makeup looks. The formula is not too sticky to the point where it feels uncomfortable but sticky enough to last around three to four hours. The only fault I can find in the Merry & Bright set is the fact that is it limited edition and you can no longer purchase this. Thankfully I stuck around the Sephora website for 40 minutes while it was crashing to purchase this. It was worth it! Did you manage to grab this awesome deal? What are your favorite products from Stila? A little while back I was contemplating on buying Lillium and totally forgot about it! It's such a pretty shade. That's a really cool palette and deal. Kitten lipgloss looks really pretty on you. I have 2 Stila palettes and I also find they are overpriced when the quality is so-so. 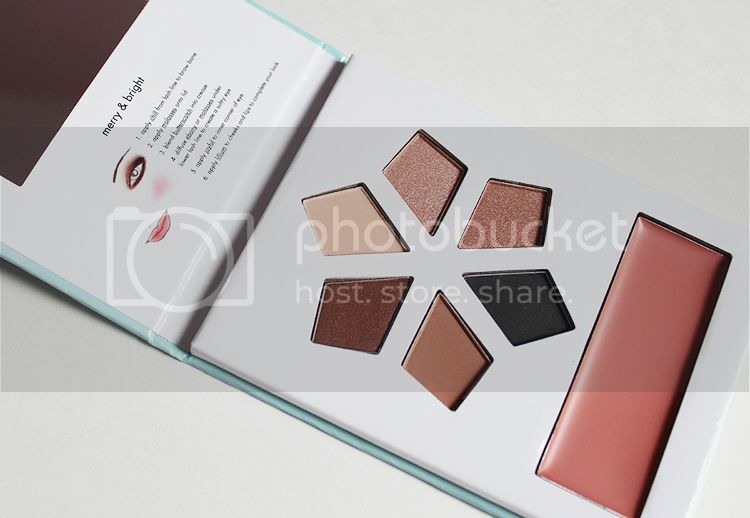 For $10, this palette is a great deal, and especially since Lilium is included! But by far, Stila's baked powder trios are what really keep me interested in the brand. I highly recommend the Set baked powder trio in Correctors! Sorry to hear your experience hasn't been that great with their palettes. Will look into those trios! Do you know the ingredients of this product?